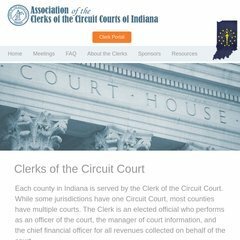 Topics: Events, Upcoming Events, Responsibilities Of The Clerk, Records Management, and Indiana Counties. pgrcreations.com "Quality Web Sites For Less -- PGR Creations"
It is hosted by Rochen Limited (Texas, Dallas,) using Apache/2 web server. Its IP Number is 72.249.175.129. It has 2 DNS records, ns2.pgrcreations.com, and ns1.pgrcreations.com. PING (72.249.175.129) 56(84) bytes of data.